With over 20 dynamic courses, new power-ups, customizable characters, 60 achievements and two different multiplayer modes, Super Stickman Golf 2 will keep you on the fairway for a long time! The underlying, highly honed element that truly makes it a wonderful experience is the tightness of the controls, and the near-perfect feel to them. Super Stickman Golf 2 combines two potentially dull themes – stickmen and golf – and comes away with a solid and hugely entertaining mobile game. Who would have thunk it! 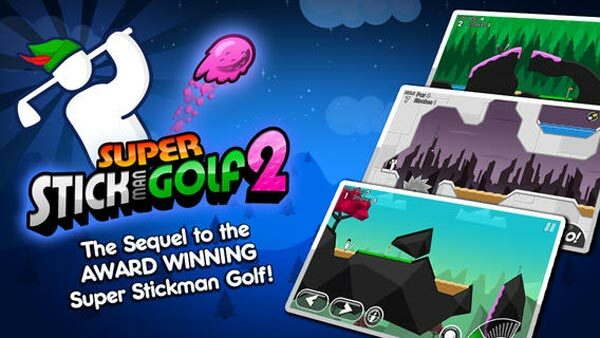 Super Stickman Golf 2 is a huge sequel, polished to near perfection. Whether you're a Single Player 2D golf sniper out for perfect scores or a casual fan of Race Mode frenzy, the game is easily deserving of a place on your phone or tablet. It's just missing the ability to earn all the power-ups through normal play. Granted, frustration is a key part of any golfing experience. Complaining about it is like complaining about the sun in Africa. But there are still tons of fun moments to be had in Super Stickman Golf, including a great sense of humor and the joy of a “hat lottery” that gifts you with skills-enhancing hats. If you like your golf weird as well as challenging, make friends with some stickmen. 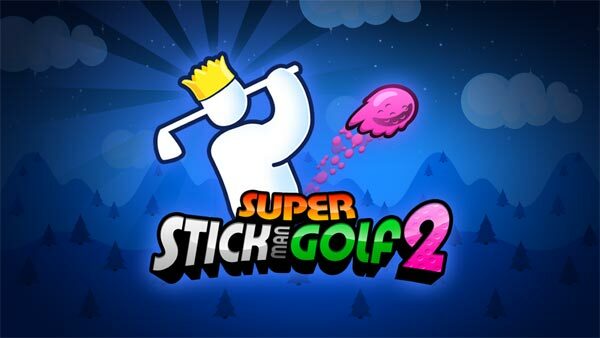 Super Stickman Golf 2 is exactly what I could have hoped for from this sequel: new courses, new rockin’ music from Whitaker Trebella & additional contributors, and of course, the turn-based multiplayer. Much like the originals, this is definitely worth checking out. 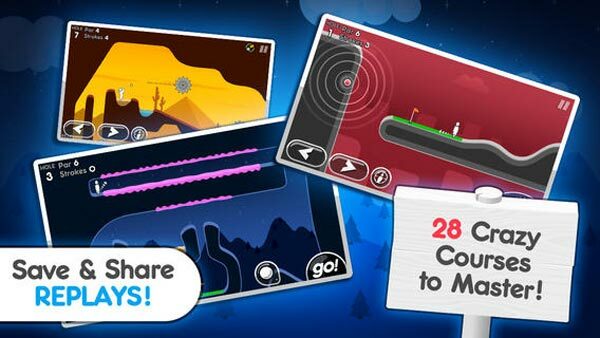 Super Stickman Golf, however, is neither boring nor painful. It is awesome. If you enjoyed developer Noodlecake's golf-slash-physics-puzzler, you'll be happy to hear that Super Stickman Golf 2 [Free] is loads better, and available at the same impulse-buy price point.IAP grievances aside, Super Stickman Golf 2 is a fun and compelling puzzler, and a steal at only a buck. Super Stickman Golf 2 might not quite make it into the big leagues, but it's still an enjoyable and engaging puzzling sports title, so long as you don't mind the odd bout of frustration. A polished and well-presented game, Super Stickman Golf 2 doesn't always get its angles right. When it does, though, it's an awful lot of fun. 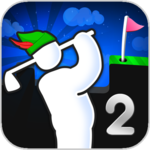 Super Stickman Golf 2 remains an engaging arcade golfing title thanks to small additions to the gameplay that reward the player with even greater variety and complexity as their skill level increases. It's a smooth and rewarding curve and one we highly recommend experiencing for yourself. While not as breathtakingly novel as its previous release, Super Stickman Golf 2 doesn't mess with a good thing and builds upon this solid core by adding all new hazards and power-ups, as well as utilizing a rewarding progression system that inspires you to reach greater heights of skill. 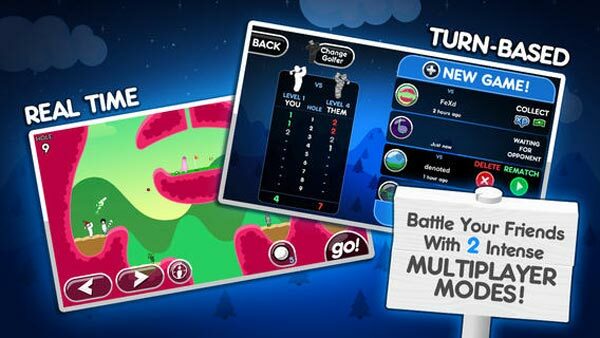 The deep and varied single-player options will keep you busy for a long time, but the excellent multiplayer modes mean that Super Stickman Golf 2 will likely be staying on your iOS device for quite some time. 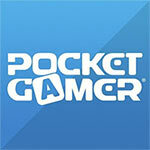 Clever gameplay and great production values make this game the complete package. 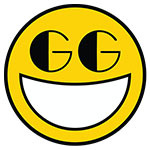 Super Stickman Golf 2 adalah game yang wajib kamu punya dan kamu bahkan tidak perlu menyukai atau tahu tentang olahraga golf untuk bisa memainkannya. IAPnya juga dirancang dengan seimbang dan tidak memaksa kamu untuk memainkannya. Apalagi dengan harganya yang gratis untuk Android, maka kamu akan rugi besar jika tidak mendownloadnya.